A prenuptial agreement is a binding contract between two people who are intending to get married. The main purpose of this type of premarital contract determines the control of property, child-rearing or financial assets should the couple face a divorce. Typically, a prenuptial agreement is used by one or both spouses in order to keep income and personal property separate during the marriage. In many states an individual who brings a large amount of cash or property into the marriage may lose much of it to the other spouse in the event of a divorce. This is because it becomes marital property which must be shared if the couple divorces at a later time. Historically, a premarital agreement was designed to protect the woman’s dowry and any other possessions if the husband was to divorce her or suddenly pass away. Before theNew York’s Married Women’s Property Act of 1848, all of the woman’s property automatically passed on to her husband on the day of their marriage. If her husband died or divorced her she could end up penniless and lose all of her property. In order to prevent this from occurring, families began to draft prenuptial agreements which specifically stated that the woman’s property would remain in the possession of her family should the unthinkable occur. More modern reasons include drafting prenuptial agreements to ensure that a person’s assets will remain in their possession if the marriage fails. It can also be used to state that the assets or a specified portion of them will go to one of the person’s children if a death occurs. Who Should Obtain a Prenuptial Agreement? Creating a prenuptial agreement can help protect assets, avoid spouse’s debts and prevent many conflicts should the marriage hit turbulent times. These premarital contracts are not just for wealthy individuals as they can also be used to protect one marriage partner from absorbing the other’s debts should a divorce occur. They may also help to clarify who brings what into the marriage and how the different properties, assets and income that may be acquired during the marriage will be managed and owned. A prenuptial agreement can be useful if you are considering getting married and desire to explain in detail the rights and obligations of each of the parties regarding how property and assets are to be handled. It is also a good idea if one of the parties owns a significant amount of property. A prenuptial agreement can be beneficial if one or both of the marrying parties have been in a previous marriage or have children from a previous marriage. There are several things that are advisable if you decide to get a premarital agreement. The two parties should sit down before the wedding day and discuss all the details that will be contained in the legal document. Ideally, the prenuptial agreement should be drafted and signed several months before the marriage occurs. It is important to note that many times a court will not recognize an agreement that is signed under duress, such as commonly occurs a few minutes before the couple walks down the aisle. It is very important that both parties are very forthcoming and honest about all their liabilities, expectations and assets in the agreement. Any agreement that is based on fraudulent or misrepresented information is usually not considered a valid legal document. 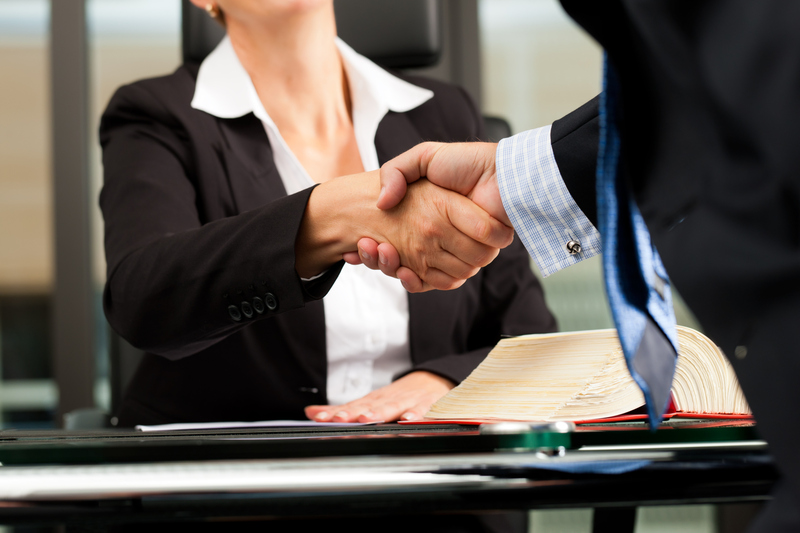 It is also a good idea for each party to have their own attorney whose area of practice is family law. One lawyer cannot represent both parties involved. Each of the lawyers will need to provide an affidavit stating that they are the independent legal counsel for that individual. This can be a very important fact if the agreement’s validity is every questioned. Otherwise it is possible that the agreement could be thrown out altogether.